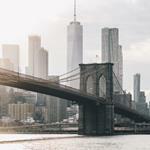 BevNET is delighted to announce that the preliminary agenda for BevNET FBU (Food & Beverage University) Boston, a one-day business education and networking event for entrepreneurial food and beverage companies, has been posted. 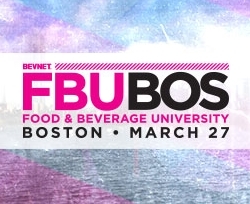 BevNET is delighted to announce that the preliminary agenda for Food and Beverage University (FBU) Boston, a one-day business education and networking event for entrepreneurial food and beverage companies, has been posted. Featuring a comprehensive mix of talks by successful entrepreneurs, investors, and the teams behind the development of hundreds of CPG companies, FBU Boston will take place on March 27 at the Artists for Humanities EpiCenter at 100 W. 2nd St. in the Fort Point Channel neighborhood. In addition to a look at the best practices for designing and formulating products and bringing them to market, the day will feature a hard look at the financial requirements and planning process that can help new companies avoid economic missteps. 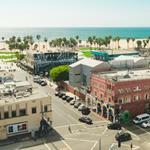 Over the course of the day, attendees will have the chance to discuss a variety of paths to financial growth, from brand incubators to crowdfunding options, as well as traditional investment funds. LEARN from our roster of over 20 expert speakers who come from investment, retail, marketing, legal, product development and other key areas. INTERACT in an intimate setting, which provides you the ability to ask questions and get insight from our speakers, sponsors, and attendees. NETWORK with industry experts and your peers while making new connections to help your business. Additional discounts are available to active BevNETFBU.com subscribers! For any questions about the event, or to learn more about this discounted registration opportunity, please contact Jon Landis at (617) 231-8834 or jlandis@bevnet.com.